If you don't know Alaska, know someone who does! 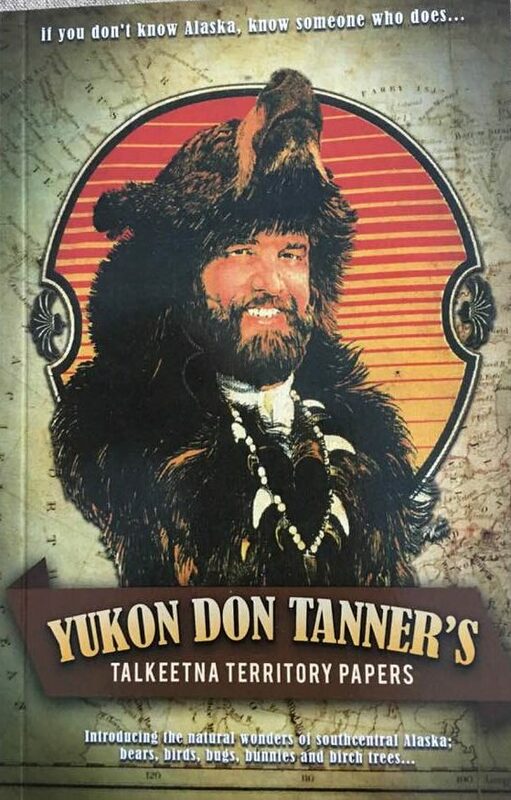 This site will allow you to purchase Yukon's book "Yukon Don Tanner's Talkeetna Territory Papers" and view land Yukon has for sale, and much more! Fifty-eight plus years on the Last Frontier has me ready with a vast inventory of stories that need telling. My stories are based on my experiences in an amazing part of God's creation. My writings are true events that many have encouraged me to share, as many today do not or will not have the opportunities allowed to me in my life on the Last Frontier. These experiences and adventures include fishing (summer and winter), hunting, floatplane flying, and riding horses, dogsleds and the railroad, from Ketchikan to Barrow. In these travels, all things wild have provided me this opportunity to share by writing on the natural encounters of my life in Alaska. I'm the son of pioneer parents, a Chugiak High School graduate, a U.S. Navy veteran (1969-1972) with service in the Caribbean, South America and East and West Africa (Our service is still considered classified with the Navy Department, declaring we were never there. See story published in the Tin Can Sailors Association newspaper quarterly issue 35 (January - March 2011). Graduating from Sheldon Jackson College in Sitka with an emphasis on writing and Christian education led to a Yukon River adventure, (2,300 miles on the Yukon River). The story was published in three parts in Last Frontier Magazine, October, November, and December 2014. My hope in providing this handbook is that all readers would be inspired to pursue the wonders of the natural creation in Alaska, by adventuring, exploring, observing and gaining knowledge of specimens, or stories in the Great Land. This book is dedicated to my wilderness wife, Beverly, our wilderness-loving children, and grandchildren. This book would not have been possible without the loving support, encouragement and editing, by my loving wife, Beverly. Thank you Susan Jones for your magical typing skills, contributing to the transition from my hen scratch to readable text. Thank you Rebecca Goodrich not only for your editing and rewriting help, but also for explaining so much of the book publishing and marketing process. Thank you Captain Keith Greba for the use of your brilliant beautiful paintings, sharing the ways of the ancients in the woods as well as in your art. Thank you Cecil and Anne Sanders for all you have provided in encouragement, support, layout, planning and publishing, making this publication possible. I am grateful for all you have done. Teagen Tanner - Website creator and editor, Founder and President of Helmets On Heads. For more information on Yukon's youngest daughters charity click here. Want to learn more about Yukon Don and the Talkeetna Territory? Sign up to receive updates on events, land, and newly released books.